How do I scan thick or special paper? 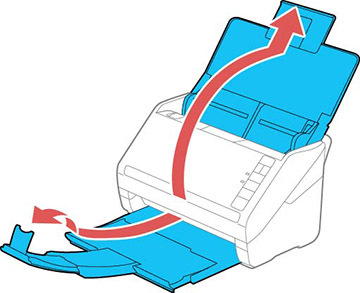 You can load a photo or large, thick, or folded original in the input tray using one or more carrier sheets. You can also load envelopes. Make sure the originals meet the specifications for special originals before loading them. Note: If you are loading originals that are 15.5 inches (393.8 mm) or longer, do not pull out the input or output tray extensions and do not open the stopper. 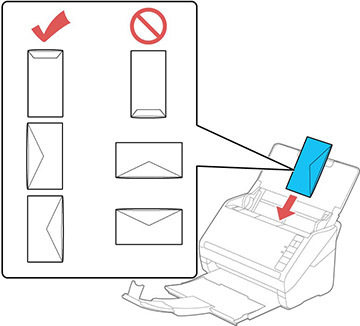 Load envelopes vertically in the input tray with the printable side down and the flap facing as shown. Slide in the envelopes until they meet resistance. For a Letter- or A4-size or larger original, fold it as shown and place it in the center of an optional carrier sheet. 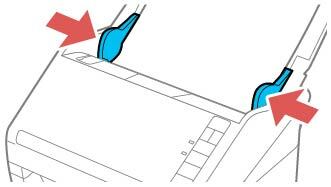 Make sure the illustration on the front edge of the carrier sheet is facing up. 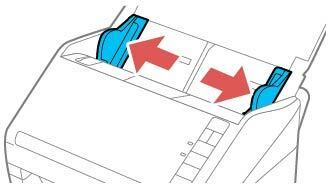 For a photo or an irregularly shaped original, load it in the center of an optional carrier sheet with the printed side face down. 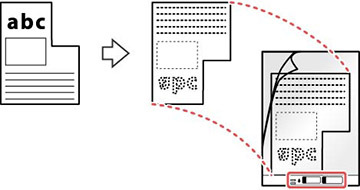 Make sure the illustration on the front edge of the carrier sheet is facing up. Load the carrier sheet in the input tray as shown until it meets resistance. Slide the edge guides against the edges of the original or carrier sheet. 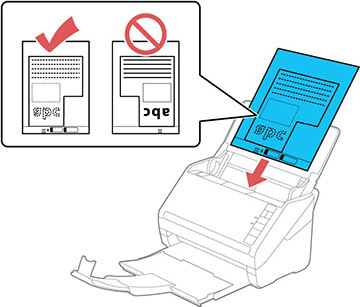 Turn off the Detect Double Feed setting on the Main Settings tab in Epson Scan 2 when scanning special originals.